The Walton Half Marathon and 5K courses are mostly flat and fast. 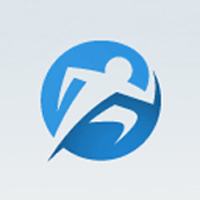 They are USATF Certified and can be used as a qualifying event for other races including the Peachtree Road Race. All Half Marathon participants will receive a medal. Both the Half and the 5K will have standard Overall and age group awards. Starts and ends at Elementary school with indoor restrooms, water fountains, expo. Pick up bib and shirt day of race. Course is mostly asphalt with some cement sidewalks. Course is on roads with traffic, so should probably wear light color visible clothing. Water/aid stations every 2 miles. Nice long sleeve technical shirt and medal. Results posted same day. Good refreshments after race.